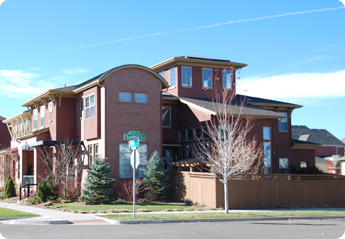 Harvard Communities has had a strong presence in the Denver metro area since 1992. They pride themselves on years of award-winning customer satisfaction, innovative architectural design, and unparalleled energy efficient and green building principles. And with communities that completely sell out, Harvard Communities continues to grow and develop large parts of Denver. In Stapleton, Harvard Communities offers home styles that create a diverse and interesting housing market. Targeting an urban consumer, the Harvard homes mesh beautifully with the tree-lined streets, numerous parks, shops, and restaurants. Their existing Stapleton homes are sold out, but new ones are constantly being built. Homes by Harvard Communities range from 2,691 to 3,389 square feet.